Penguin Random House is going to publish a recently rediscovered Dr Seuss book later this year. The publisher says that What Pet Should I Get? features the same characters from Dr Seuss’ One Fish Two Fish Red Fish Blue Fish. The nearly complete manuscript, including black-and-white illustrations, had been languishing since the author died in 1991, and was recently found by his wife, Audrey Geisel, and his secretary Claudia Prescott when the pair was reportedly cleaning out the author's workspace in 2013. 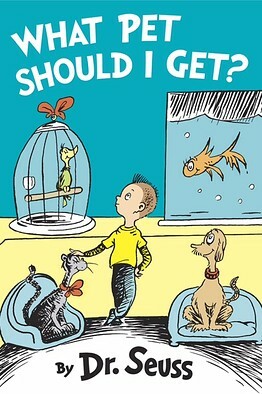 Dr Seuss was the pen name of Theodore Geisel, who wrote 46 children’s books, including Oh, the Places You’ll Go! - the last title published during the author's lifetime.